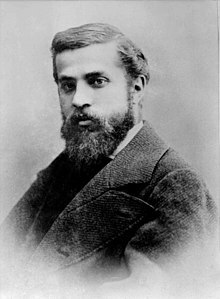 Antoni Gaudí i Cornet (Catalan pronunciation: [ənˈtɔni ɣəwˈði]; 25 Juin 1852 – 10 Juin 1926) was a Spainyie Catalan airchitect frae Reus an the best kent practeetioner o Catalan Modrenism. ↑ "Biography at Gaudí and Barcelona Club, page 1". Gaudiclub.com. Archived frae the oreeginal on 16 October 2011. Retrieved 5 November 2005. This page wis last eeditit on 18 Mairch 2018, at 22:41.